Deliberate mistake: As Luanne is putting the dirt into Bobby's fruit pie you can see she rips open a large part of the packet. 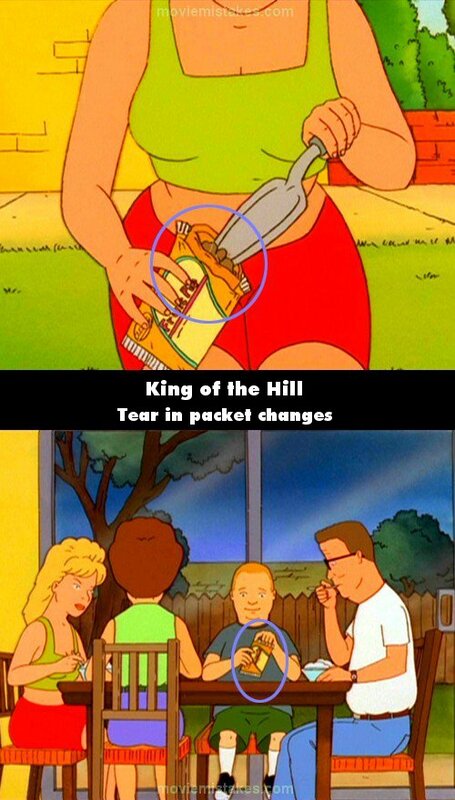 Yet in the next scene when Bobby is about to eat the pie there is no sign of where Luanne ripped the packet. 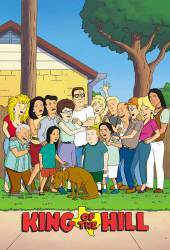 Its likely this was deliberate as the joke in the scene was Bobby and Luanne's constant attempts to get back at each other, if they had left the large hole its likely Bobby would have not fallen for Luanne's prank.